Fleas and ticks can be a huge nuisance, to your pet and you! The constant itching, scratching and over-grooming can get old. Fleas and ticks are not just annoying – they can cause many health problems in your pets (and you!). Predicting the exact start and end to flea and tick season is nearly impossible. Regardless of the conditions outside, fleas can survive on your pet indoors anytime. Did you know that the deer tick actually becomes active every year during the winter after the first frost? Indoor-only pets are not safe from fleas! Wild animals deposit flea eggs in the yard, resulting in “hitchhiker fleas” that can be carried indoors by humans. Pets that do go outside can bring fleas to indoor-only pets. Anything contaminated that enters the home (visiting pets, other items) can be a source of infestation. Eliminating an infestation takes a lot of time and energy, especially for fleas. Did you know that 1 female flea can produce 40-50 eggs per day? These eggs drop off the pet into the environment. Treatment involves a multi-modal approach (treating the pet and the environment, often with multiple products that hold different mechanisms of action). It typically takes several months to eliminate an infestation. If you consider the cost and effort involved with removing an infestation (and treating any secondary illnesses), prevention can actually save you time and money! Most importantly, allowing your pet to rest healthy and parasite free is priceless. Want more flea and tick information? For Lawndale’s recommendations on monthly prevention products click here. 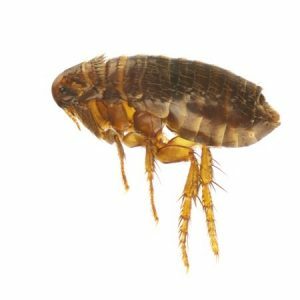 For an overview of fleas and common problems, check out this blog. For tips on selecting flea control products, check out this blog. 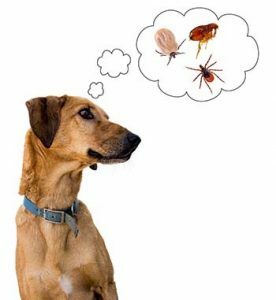 For a discussion around ticks and tick borne diseases in Guilford County, read this blog.